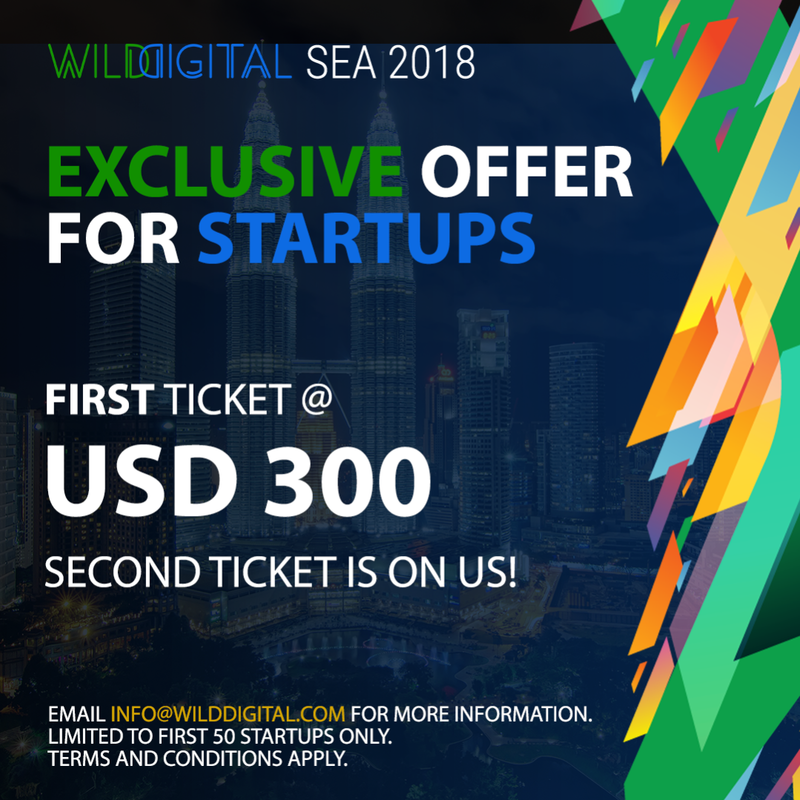 Wild Digital SEA 2018 will be held on 4 and 5 July 2018 in Kuala Lumpur. 60+ speakers from all the region will come and share their experience and hindsights. Meet 120+ Exhibitors at the largest Payments, Fintech, Ecommerce & Retail exhibition in the region, including Vocalink, Discover, DataRobot, emarsys and more at Seamless Asia 2018, 3 May, Suntec, Singapore. 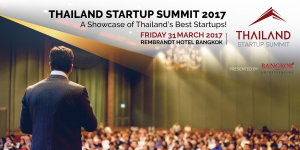 Organized by the National Startup Committee (NSC) and the Ministry of Science and Technology (MOST), Startup Thailand is free for visitors, investors and startups. More info and tickets here. Wild Digital Networking Event Series is a new initiative to our Wild Digital platform. We will be introducing a series of these networking events across the year, held in various cities across Asia. It is an intimate gathering of the region’s top tech leaders, chief executives and investors, aimed to be THE platform that will provide unprecedented networking opportunities. More info and tickets here. 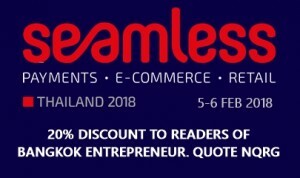 The largest, but also the most expensive, Tech conference in Bangkok. More info and tickets here. Expect cool vibes in Singapore when Slush prepares for its third year on The Little Red Dot this year. In addition to the main event on Sept 14, there will be a full day of pre-events as well as, for the first time ever, an after-Slush! Here is a sneak peek of what to expect this year. More info and tickets here. 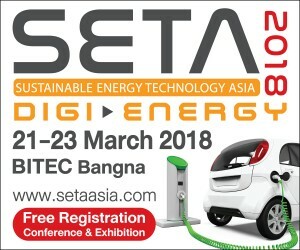 The SETA 2018, 3-day conference is the excellent platform to bring broaden energy thought-leadership, expertise and innovative technology required to urge the energy investment deploying both of commercial and technical knowledge to shape the energy mix policy and reflect to this economical and environmental flourishing in the region. The 10th ACM SIGGRAPH Conference and Exhibition on Computer Graphics & Interactive Techniques in Asia! 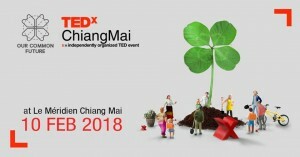 Bangkok Entrepreneurs is a Community Partner. Contact us now to get involved! Our goal is Wi-Fi for everyone, everywhere. To do that we’re bringing together the entire Wi-Fi industry to promote, support, and showcase all the opportunities – and not least the challenges. Contact us for promotional offers and discounts. 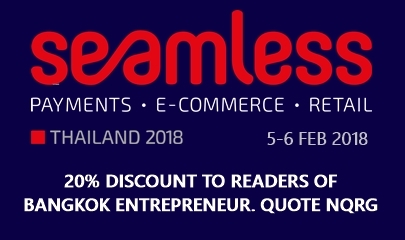 Readers of Bangkok Entrepreneurs are entitled to a special 20% discount. Use the promo-code NQRG to get your discounted ticket price. Click here for more information or to buy your ticket! The theme for this edition is “Our Common Future” and blends social and environmental issues and refers to our profound interdependence as humans on earth. The theme highlights the importance of finding a sustainable development. 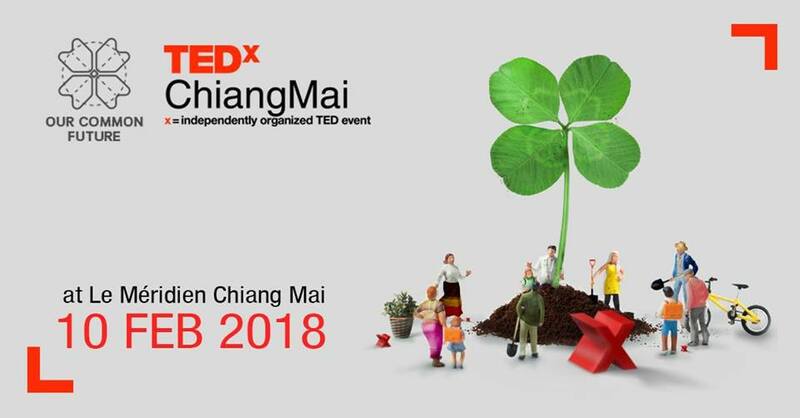 Use the promo-code TEDxCMAP2018 on this page (bottom of page) for an extra discount on Early Bird price: 1,350 baht instead of 1,500 baht! 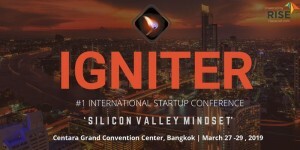 600+ Tech professionals, corp orate, investors and VCs attended a full day and evening of keynote talks, panels and pitches by some of the best Startups in Thailand and in the region. Other key speakers included Airbnb, Uber, Grab and Garena. The Startup Pitch Competition kicked off the evening: 14 Startups pitched in front of 22 local and regional VCs. Thailand Mobile Summit was a full day conference and workshop that brings together Mobile enthusiasts and Mobile experts from all over the country on one single platform. More than 500 attendees came and listened to renowned speakers and senior leaders who work for, have worked for or partner with companies such as Line, Google, Facebook, Skype, Amazon, Yahoo, Twitter, Linkedin, Dropbox, Airbnb, Grab, Uber and more. Participate in workshops and learn from the mobile experts and mobile visionaries! 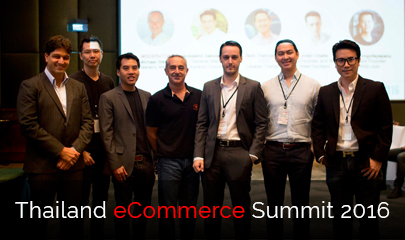 Thailand E-Commerce Summit was the most awaited conference of the year on E-Commerce. The Summit focused on bringing together Managers and C-level Executives leading the E-Commerce, E-Payment and E-Logistic Industries in Thailand. The conference included Keynote Speeches, Panel Discussions and Workshops by Facebook, Lazada, Zalora, Ascend Commerce, Tarad.com, Braintree, Nielsen and more. The event attracted 600 visitors from Thailand and abroad. 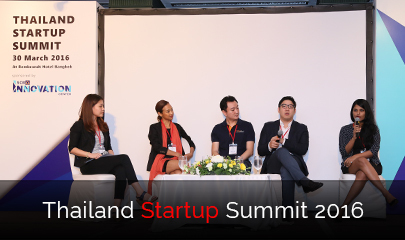 Thailand Startup Summit was the first event to feature the best Thailand Startups and bring on stage the key players of the local ecosystem. Attended by more than 600 people which included Entrepreneurs, Managers, Founders and Co-Founders. The conference was an opportunity to learn about the ingenious startup companies from across the country and mingle with the Founders and Investors. Sponsored by Siam Commercial Bank, the conference also featured a special Networking Event with venture capitalist panel in the evening.